A new mobile German game “Schulzzug,” or Schulz train in English has been called “tasteless” for letting players run over U.S. President Donald Trump and Russian President Vladimir Putin. The game originated from a popular hashtag used by supporters of Social Democrat (SPD) candidate for chancellor of Germany Martin Schulz. 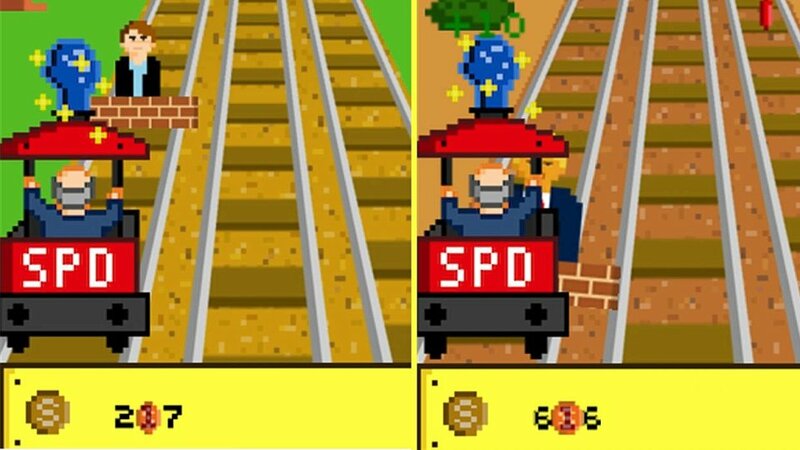 In the game, you drive a train containing Angela Merkel’s chief rival for chancellor Schulz, running over his political foes. Although Schulz and his party have nothing to do with the game and its copyright. The deplorable game was actually developed in the beginning of March 2017. Where The Social Democrats, hosted a “hackathon” event, Germany outlet Die Welt reported. The game advertises as “brake-less fun,” and features Schulz driving down tracks, dodging obstacles, collecting coins and stars of the European Union flag. While making way to the chancellery, where he aims to end up in Germany’s September election. Gamers are then encouraged to kill Trump and a shirtless Putin to collect bonus points, according to TheLocal.de. The game also allows players to run over one of Schulz’s rivals but it’s not Chancellor Angela Merkel. It’s another woman Frauke Petry. Running to become Germany’s new chancellor, leader of the far-right Alternative for Germany’s (AfD) party. To add, what’s even more concerning is in the game Petry is pregnant according to IBTimes. “Is this fake news, or is this really an SPD game? Whoever kills Trump and Petry with the Schulzzug wins bonus points?” AfD politician Beatrix von Storch tweeted. “Running over people in a game is not actually funny but tasteless,” tweeted Julia Klöckner a member of Christian Democratic Union (DCU). Wenn der #Schulzzug die schwangere @FraukePetry überfährt, gibt‘s Bonuspunkte – und Beifall der @swr3-Redaktion! Social Democrats have since asked the developers to review the game. The characters of Trump, Putin and Petry were removed following their request. This follows calls made months back for the assassination of the current sitting U.S. President by Josef Joffe. Joffe is an editor, and publisher of the German weekly newspaper “Die Zeit.” Trump recently met with German Chancellor Angela Merkel, where he called their meeting “very good.” Later during the press conference, Trump joked with Merkel. Saying that he and her both, “have something in common, perhaps,” when it comes to his predecessor Barack Obama’s administration wiretapping them both.